What is Bali Without a Pamper at a Spa? Going to Bali, or most parts of Southeast Asia for that matter, without making an effort to get yourself pampered at a spa is an unwise decision. It is something that will stir up a sense of regret if it is not done, so let me share with you some favorite places that I frequent for my on-the-budget R&R. Because I live here, I get the luxury of regularly getting a full body massage every other week, sometimes every week. This frequency is made possible by the absurdly affordable price of massages here, which starts as low as 50,000 IDR (roughly 5-6 USD) for a one-hour massage. However, beware of enticingly cheap prices…in most cases, there is a direct relationship with what you pay and the skill of the “masseuse”, if you can even call them that. Rule of thumb for spas here is that you get what you pay for, except in Alam Bali, you get more than what you pay for. If you happen to be in Sanur area and have an hour to spare (and if you’re like me, this is quite often), make sure you do not miss Alam Bali. For 60,000 IDR, you can enjoy a one-hour Balinese massage by a skillful masseuse, male or female, you can choose – I’ve tried at least five different people, and they were all above decent. They always have many staff on standby, but even then they could all be booked, so best if you call ahead to check availability. Their reflexology is also refreshing, albeit a little painful as all reflexology is, and is only 50,000 IDR for an hour long session. No shower available here, so plan your post-massage activities accordingly. This is my go-to spot when certain situations call for a massage on a weekday or when I am in Ubud for the weekend. This place is very well-managed for the price you pay, and the different masseuses I have tried have all been knock-out good. And here they take it up a notch by providing you a shower in each room to cleanse yourself of remnant body oil and a hot cup of ginger tea with a small plate of fruits for your post-massage refreshments. Everyone I’ve recommended / taken to this place have all enjoyed their treatments, so what more can I possibly add to make Sedona Spa a must in your Ubud to-do list? 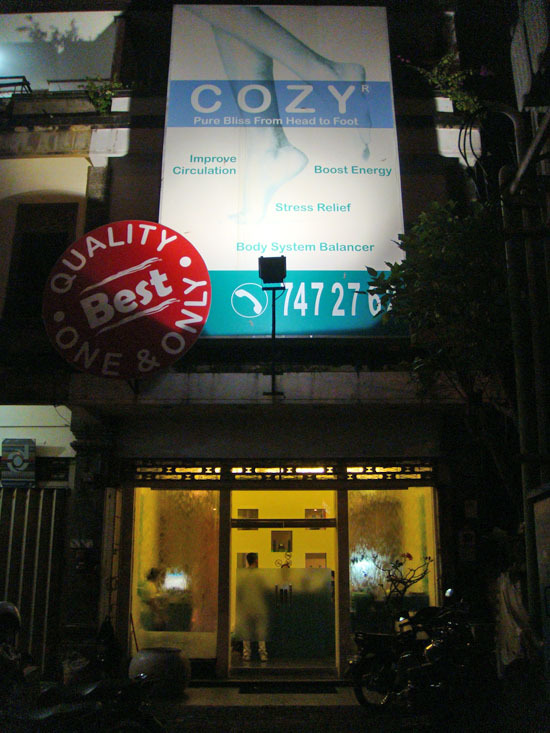 Cozy is so well-known that not only are there two branches located on the same street, they have also expanded to Jakarta, located conveniently just down the street of my house. Management and service is extremely professional here, and facials are complete with programmed, soothing music on headphones that you can select at the registration desk. Everyone will confirm that this place goes the extra mile to provide outstanding service. What makes it different than Sedona Spa is that you do not get a massage in your own separate room. The showers are also set up more like an elite gym, complete with hairdryers and other toiletry needs (at least at the women’s section). For its facilities, quality and professionalism, this place is worth the extra money spent. if I lived closer, I probably would come to Cozy 2 (the larger branch with a more complete set of services) more often. Photos taken from TripAdvisor and Travelfish. 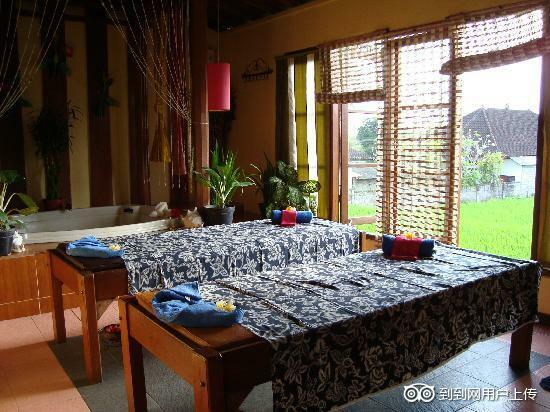 This entry was posted in Bali, Explore, Thrive and tagged bali massage, bali spa, balinese massage, balinese spa, massage, spa. Have you been to the Ubud Sari Resort? Yay or Nay? I’ve never! But seems like it got an okay rating on TripAdvisor, which I would trust.